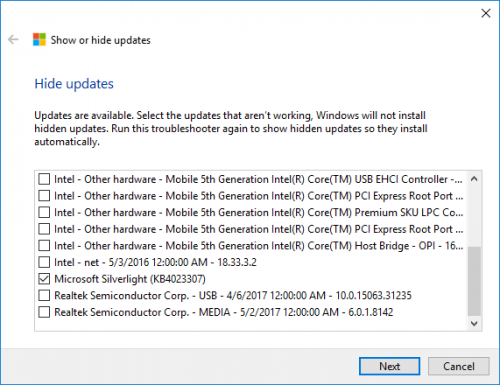 With the best will in the world due to the complexity of the Windows installations and installs of third party software there will be occasions that Microsoft releases a Windows update that breaks something. 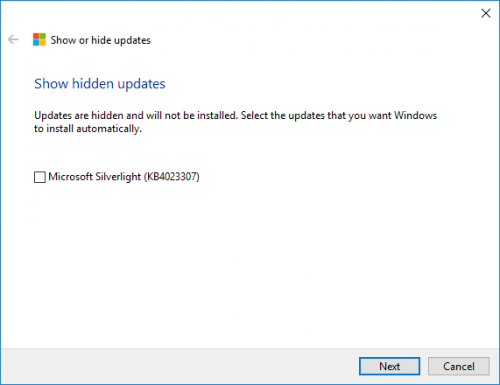 A recent security update to Microsoft Office broke a VBscript Word Macro that we use in the business so until we can find a developer that understands it well enough to fix it we need to disable the Windows update. 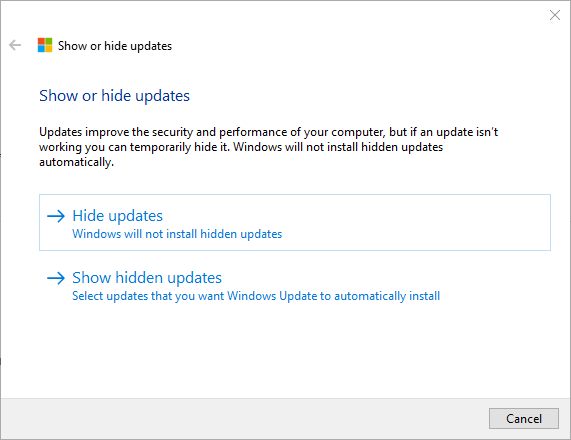 This is not as simple in Windows 10 as security updates are now set to install automatically. 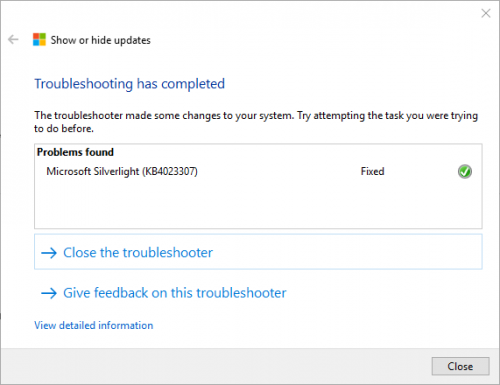 There is a troubleshooter available for download that makes the task very straightforward. You can save it locally or just open it and run it automatically. 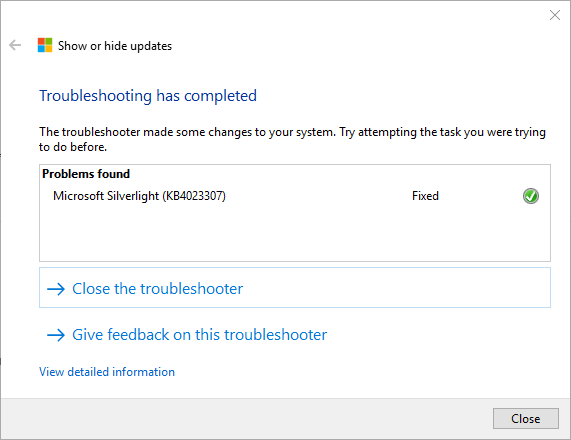 The troubleshooter will start, click Next to proceed. 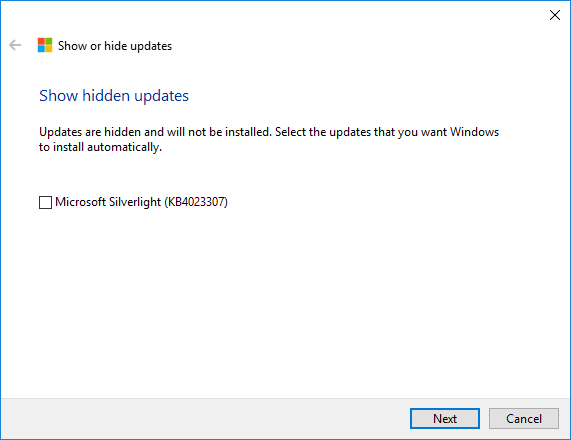 Clicking on Hide updates will show all updates that are currently not installed. Tick the boxes of the updates that you wish to block the installation of and then click next. The troubelshooter will then process the request and after a short wait will show that the updates selected have now been blocked. 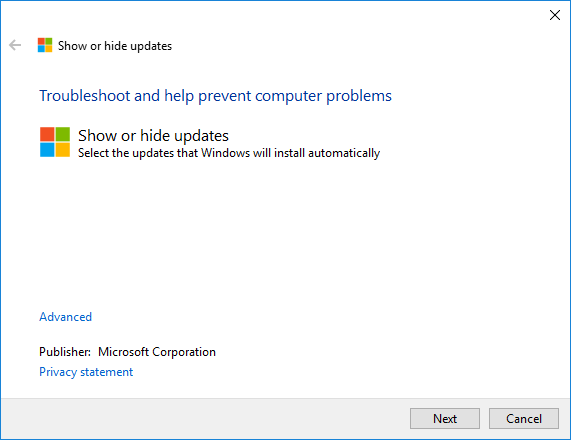 If you decide later that you now wish to unblock the update, simply run the troubleshooter again and then choose the Show hidden updates option. Then select the ones you wish to unblock and click next to proceed.